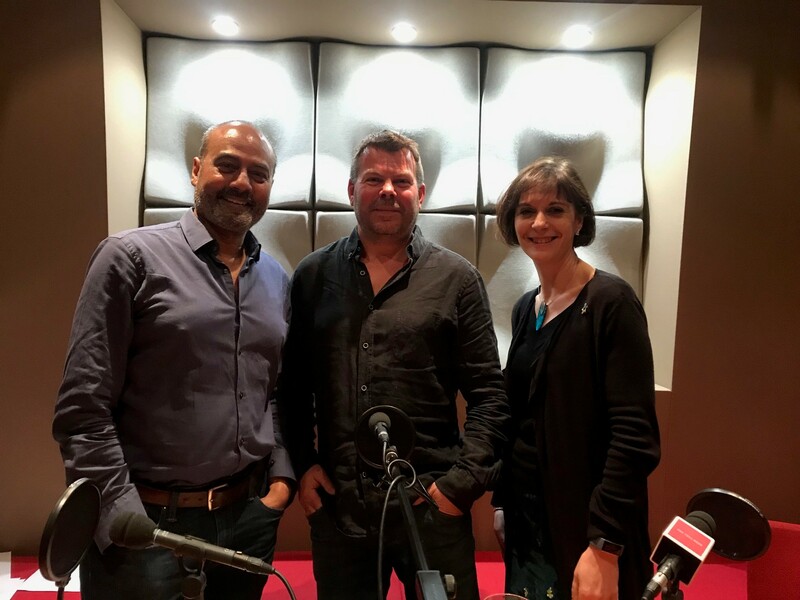 BBC journalist George Alagiah hosts our podcast, interviewing supporters and leading experts on the disease, as well as discussing his own treatment and diagnosis. We're launching three episodes during Bowel Cancer Awareness Month this April, called: ‘In conversation with George Alagiah: A Bowel Cancer UK podcast’. In the first episode George interviews Matthew Wiltshire, 51 from Surrey, who has stage four bowel cancer, and the charity’s Chief Executive, Deborah Alsina MBE, about living well with advanced bowel cancer. The second episode sees George interview Andrea Robson, 39 from London, who has stage two bowel cancer and a stoma, along with her stoma nurse Lisa Allison, Clinical Nurse Specialist in Pouch Care at Northwick Park and St Mark’s Hospital, London, on managing a stoma. Listen on iTunes, Spotify, Audioboom, and Castbox. We'll launch our third episode on Thursday 25 April discussing caring for someone with bowel cancer. Watch this space for more episodes later in the year. If you like what you hear, subscribe, leave a glowing review and give it five stars. Don’t forget to share the podcast on your social media pages and ask your family and friends to listen too.